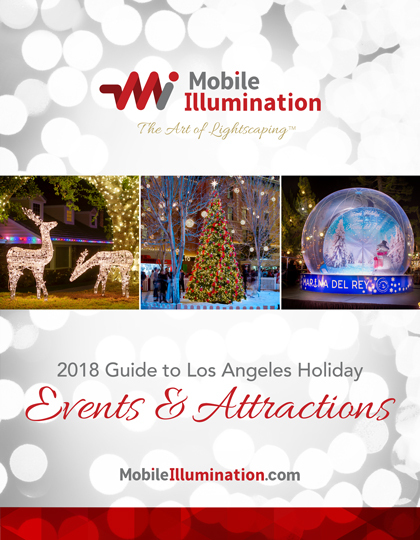 It’s officially the holiday season and we’re so pleased to present to you our 2018 Guide to Los Angeles Holiday Events and Attractions. Whether you’re looking for a fun family outing to an ice skating rink or just searching for the perfect place to enjoy all the wonderful Christmas lights and décor, we’ve got you covered. So grab a hot beverage, relax, and start planning your amazingly fun holiday activities in Los Angeles. And don’t forget to check back periodically for updated times and dates. Happy Holidays!